I studied in a public school all my life. I owe the people of the Philippines my education. My parents taught me to be grateful for every inch of desk space I didn’t pay for, and for every second the teacher spends in class. Thank you, taxpayers. Some may wonder if our public school education is worth their taxes. Some may wonder if we can really trust our youth in this system. I believe it has problems, as well as perks. I also know it made me who I am today. 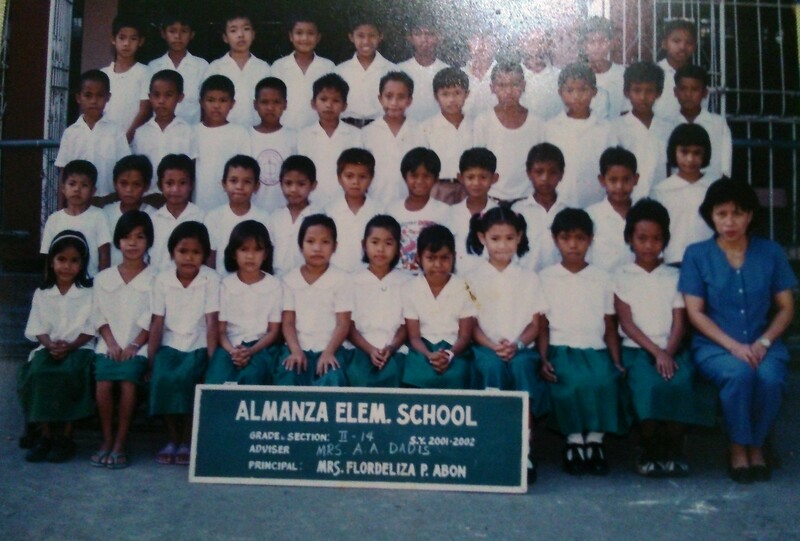 My siblings and I studied and grew up in the humble halls of Almanza Elementary School in Las Pinas City. Our mom also teaches here. But she never became our class teacher. She was usually assigned to the lowest section in school for the longest time — Grade 2, Section 22! I was only a first grader when I first got a glimpse of her class. The students were rowdy, totally out of focus and basically troublesome. To be honest, they scared me a bit. My mom had a difficult time mentoring the children of Section 22. But she never gave up. Usually, the students of Section 22 are in this group because of low grades. I made a mental note when I was young that public school education is a game of survival. If I was not excellent enough, I’ll end up in the lower sections. This is not Section 22. Just Section 14. Public schools aren’t very strict with school uniform. Attendance in class is more important than wearing black school shoes. Even if my mom was a teacher, she never did a sit-down review with any of us when we were in school. She expected that we learn by ourselves because what the heck, she taught Grade 2, section 22! That’s enough work for her to handle. Thankfully, my best asset was my curiosity. I was an impatient learner. I devoured books the way I eat ube, my favorite food. Whenever I get called during recitation, I indulge in speaking. 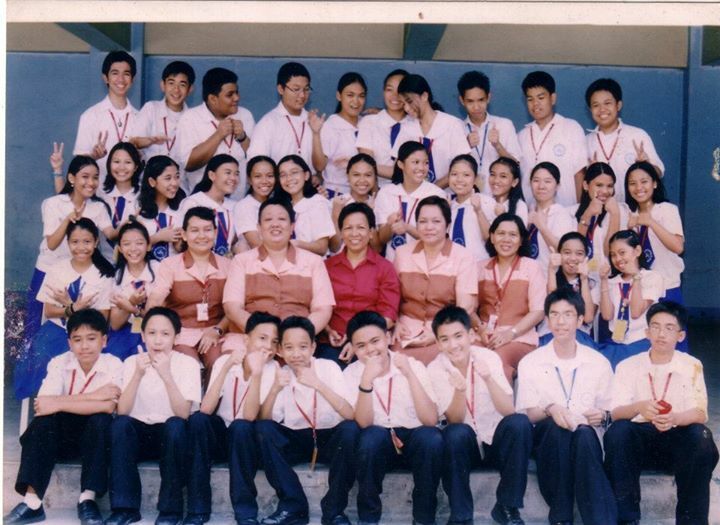 I was the bibo kid in class — with hands always in the air during recitations, very eager to speak or to ask questions. I was always in the first section. We had three shifts in elementary: 6AM-10PM, 10AM-2PM, 2PM-6PM. We had seven subjects on average, so some classes only allotted 25 minutes for discussion. The top sections could manage this schedule. But for the lower sections, it was very difficult to follow. Until third grade, we only had one teacher to teach us all the subjects. Whenever our teacher was absent, the class would be temporarily divided and distributed to other sections. There were times when I had to study with the lower sections. I had to listen to the teacher repeat the lesson we already discussed days ago in my original class. For many reasons, the students in lower sections have a difficult time catching up. This is why I respect the patience of public school teachers. In a public school, the best compromise a teacher can offer pupils struggling with their studies would be to take time. Work at the pace of the children, especially in lower sections. Haste makes waste. After every class, I would visit my mom’s faculty room so I could rest and wait for her class to finish. It was a long commute from my school in Las Pinas to our home in Cavite. Since we were still young, she had to accompany us. In the afternoon, I would frequent the library. It was not yet open to students during my time, except for journalism classes. But I was a daughter of a teacher and the librarian was a friend of my mom. So I had access to volumes of books. It was unfortunate that many kids of my age didn’t read the books I enjoyed. The management was careful because they didn’t want any damage to the books, especially from careless students. Of course they value the books a lot. In a public school like ours, we share the textbooks. Sometimes, there were two students for every book. Sometimes, four is to one! There were instances when a section relies only on a single copy of a book! So a student had to read out loud what was written on it. It was rare for public school students to take home their books. Most of the time, the teachers kept them and only lent them to students during class. If we had an assignment from the book, we had to copy it word for word. We wasted precious study hours copying texts, only because we had no luxury of having our own books. It was not always about grades. Many public school students repeat grade levels because they would quit school midway due to insufficient funds. Some encounter family problems. Some had to work hard before they even learn how to read and write. But in a public school, the class section you are in also sends a clear message: regardless of whatever trouble you are in, if you’re not going to study well, you’ll have a rougher road ahead. This motivated me to study hard so I can remain in the top section. I had my dreams. I wanted to be a journalist. I also wanted to learn more. If I didn’t belong in the first section, I felt I would never have the right opportunities. I thought I joined a geek festival when I passed the entrance exam for Manila Science High School. Well, my classmates were not nerds. They were just normal human beings who were every bit as curious as me — I met friends! MaSci may be the first science high school in the Philippines but it is also a public school. It had limited resources during my time. Unlike other science schools, we did not have stipends. There was also no dormitory even if most of us came from far places. But our teachers were of the highest caliber. Our notebooks were as good as books even though we could not afford most resource materials. The Internet also opened many highways of information. My classmates were competitive but we all helped each other out. We dreamed of making our mark in the world. We were not defined nor limited by our sections. We followed a modified ranking. There was a top section for the cream of the crop; but we were all valued just the same. We had equal opportunities to learn and excel. We had at least ten classes each day from 7AM to 6PM. On top of regular subjects, we had advanced classes. Some subjects required daily theater-level presentations. We never ran out of homework. On Fridays, classes were only until 1PM. It was our sabbath from school work. In the previous curriculum for public schools, Science is not a separate subject until Grade 3. This policy will remain the same for the upcoming K-12 education model. Manila Science High School left a legacy in me that goes beyond academics. Our teachers were very particular with our values. How we did the small things reflected how we did everything. Punctuality was also a must. We had to be in school by 7:05AM. The more tardiness we incurred, the less classes we were allowed to attend. If we came late to class for the third time, we would be barred from attending all our subjects. Our parents would also get a blind date with the guidance counselor. My public school education taught me more than what books could offer. It also encouraged me to peek out of wooden jalousies, away from the four corners of my classroom. 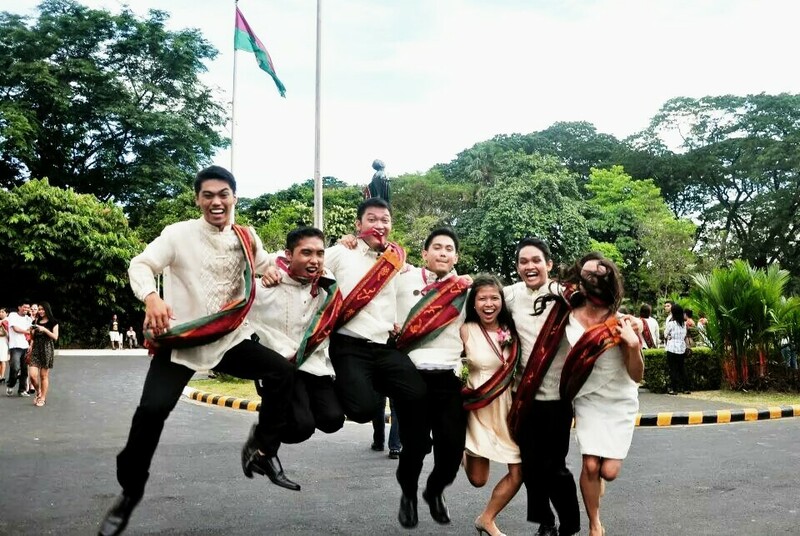 My curiosity brought me where I wanted to be — the University of the Philippines. My education may be free but it was not served on a silver platter. I had to work hard to make the most of it. I may never get to repay each and every Filipino with their hard-earned taxes for my tuition. But I will pay it forward to our younger generation. For our public schools, I pray for equal opportunities to all students, even those in lower sections. If they are difficult to teach, be patient with them. Neglect will only lead them nowhere. I remember the Grade 2, Section 22 class of my mother from way back. The last section may be rowdy, totally out of focus and basically troublesome more than a decade ago. But I know they all had dreams then! And my mother never gave up on them.